Author/Illustrator Matthew Holm: Announcing a new graphic novel anthology, COMICS SQUAD: RECESS! Announcing a new graphic novel anthology, COMICS SQUAD: RECESS! 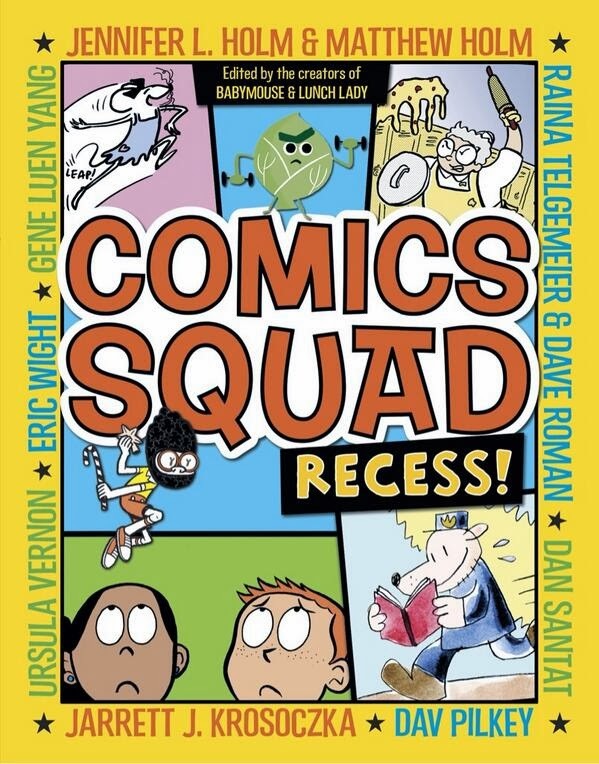 In case you missed the awesome news, Jenni, Jarrett Krosoczka, and I have edited a brand new anthology of kids' comics called COMICS SQUAD: RECESS! ... and of course me & Jenni and Jarrett. There are a whole lot of new characters, but also some familiar ones: Babymouse, Betty from the LUNCH LADY series, and DOGMAN from CAPTAIN UNDERPANTS. COMICS SQUAD: RECESS! On bookshelves everywhere July 8, 2014!